For the first time, the masterminds behind pokie machines reveal how they’re programmed for addiction. 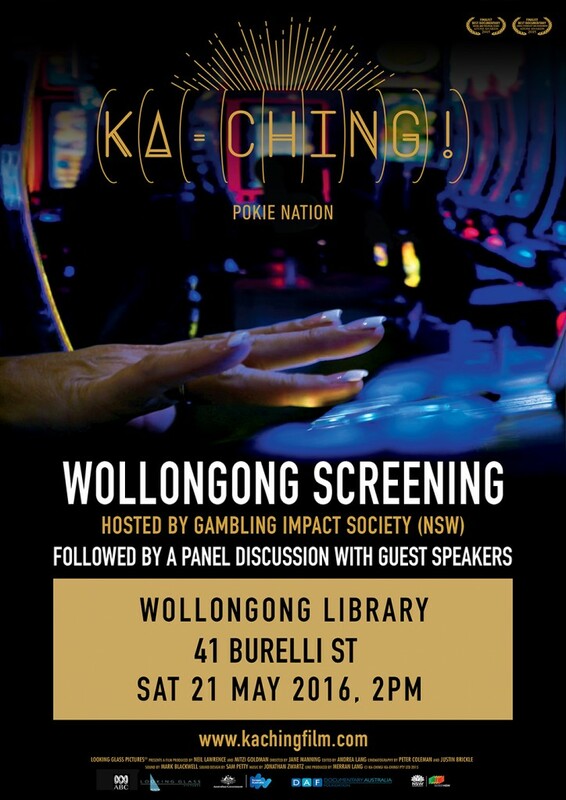 A Community Screening of the Award winning Film Documentary Kaching:Pokie Nation followed by a community discussion will be hosted as a lead-in event for Responsible Gambling Awareness Week. May 2016.